Tiggerific Tuesday Trivia - The Admiral Joe Fowler Riverboat! 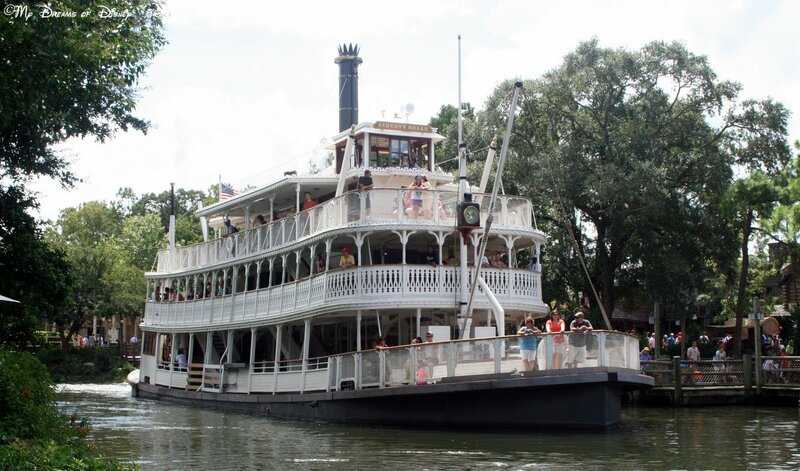 Did You know: That the Admiral Joe Fowler Riverboat was the first riverboat to navigate the Rivers of America at Walt Disney World? It’s first trip was on October 2, 1971 — just one day after the Magic Kingdom opened it’s doors for the first time! The boat was named after a retired U.S. Navy Admiral who was responsible for both the Disneyland and Walt Disney World Construction! The Admiral Joe Fowler Riverboat would navigate the waters until 1980, when an unfortunate accident during maintenance forced the boat to have to be retired from service. The boat that I most often see around the Rivers of America is now the Liberty Belle, as seen in the photo above. 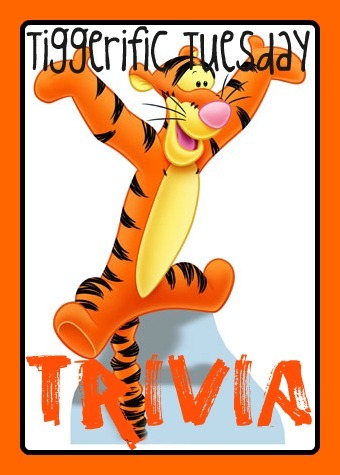 Thank you for stopping by this week as we explored more Tiggerific Tuesday Trivia! Do you have any great trivia to share with us? Why not write your own post about it and link it up here? It’s a great way to share your site with us! Have a great day! Click on the links below to see the rest of the entries this week! Thanks Jenn! I did know that, but I didn’t mention it, so thanks for sharing! To be honest, I’m not a big fan of the ferry — too many flying insects for my liking! So do I Heidi, it was on my list of 30 things to do this year, but we didn’t do it this year either! That’s great information, Mike! Thanks so much for linking up & co-hosting Tiggerific Tuesday! Thanks for having me, Jodi! This is fun, even if it’s just the 4 of us right now! I love how Disney pays tribute to those who play a role in the creation of Disney Parks. Unfortunately, I never had the opportunity to take an adventure on the Admiral J. Fowler Riverboat, but he Liberty Belle is one of my favorite attractions, though it has been closed my last two trips. Fingers crossed for next year’s trip. So do I Beth! It’s one of the biggest reasons why we love Disney as much as we do. I don’t know if I rode the Admiral’s boat when we went in 1979 or not, but I know I’ve enjoyed riding the Liberty Belle in the past. We need to recapture that magic for a leisurely cruise! I’ll bet there are some great photo locations! Previous Post: Meet Frances from Disney Vacations by Distinctive Journeys!